If you are as impressed with this company as I am, either as a consumer or investor, there are two books I just read that you will find interesting. The first is “I Love Capitalism” by Ken Langone, one of the three founders of Home Depot. He talks about his life and career, of which his role in getting Home Depot off the ground was a significant part. The other book is “Built from SCRATCH”, written by Bernie Marcus and Arthur Blank, the other two founds of Home Depot. This focuses on the business failures they experienced leading up to their enormous success with Home Depot. Beginning in 1978 when both were out of work executives, they build this company into a multi-national enterprise with more than 2,200 stores across North America, 400,000 employees and $100 billion annual sales. This is a real success story with many transferable values and business principles. Both of these books redefine entrepreneurial spirit and risk-taking. For me, this is the best movie ever made. The cast (Humphrey Bogart, Ingrid Bergman, Paul Henreid, Claude Rains, Sydney Greenstreet, and Peter Lorre), storyline, and music are first-rate. The movie was made in 1942 and set in the context of World War II. 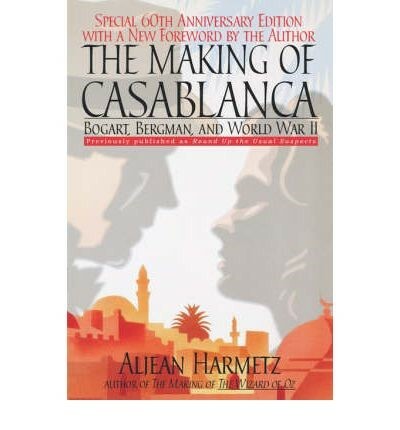 If you have similar feelings about this movie, I recommend “The Making of Casablanca”, a book which describes the casting, studio system, the elusive ending, the role the government played, and much more. Interesting reading. 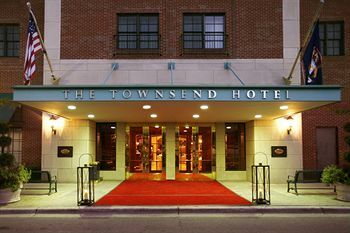 Located in lovely Birmingham, Michigan, this elegant hotel is a study in graciousness. The experience starts with making the reservation and guest preferences and then moves to the hotel stay itself. From the time you arrive until you leave, guests are treated with the highest level of service, courtesy and respect. This is a great hotel choice if you are going to a sports event in Detroit, doing business with one of the automobile companies, or visiting the University of Michigan in Ann Arbor. An exceptional hotel experience. I just returned from a family trip to this incredibly beautiful part of the world. Quito, on the mainland and the primary city in Ecuador, is old, mountainous and bustling. If you can deal with the altitude, add this to your bucket list. The Galapagos Islands, about 600 miles off shore, are magnificent – pristine beaches, beautiful vegetation and, above all, wildlife. We were within a few feet of giant tortoises, sea lions and iguanas. Underwater, the same is true for turtles and rays. This is a trip really worth taking and I can’t recommend it highly enough.